Click Return were introduced and recommended to KSB Recruitment by another recruitment company who we had been working with for many years. We initially began with a Pay Per Click campaign which quickly generated enquiries in their recruitment niche of hospitality and catering recruitment. It’s fair to say that Dawn (KSB’s Director) and her team have been ecstatic with the results they have received from their PPC campaigns in both clients looking for employees as well as finding the staff to fill the roles. 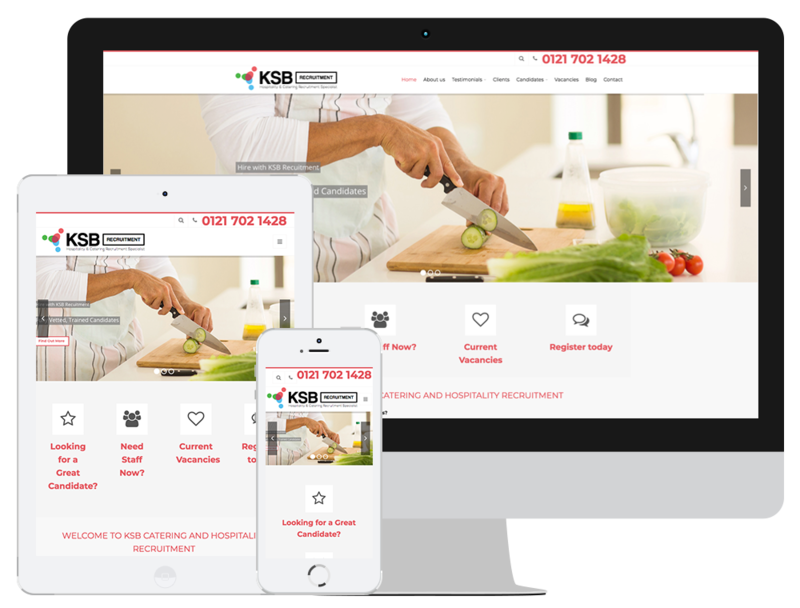 After KSB Recruitment saw how well digital marketing worked for them, they asked Click Return to take over their website and, since doing so, have improved the search engine optimisation and social media so they are now receiving enquiries from all of the above channels. “Brad, You and your team are flipping amazing… I just had to email you and tell you how amazing you all are there at Click Return. “We are receiving new enquiries daily and some very lucrative new clients as a result. This week alone we have potentially made over £10k which is fantastic. Take a look at the KSB Recruitment website.